Yes, it's time for this site to pay for itself. If you are a vendor, please read this next page. Items on this page are or were available to order from your own local Ford dealer parts department. Note: Many of these items are getting difficult to find or no longer available (N.A). Do check for availability. You should also be able to find a more complete & accurate listing at your Ford parts dealer in the Ford Accessories catalog. Make friends with your Ford dealer's parts manager!!! Prices are approximate to give you an idea of the range you're looking at; you may pay more or less, depends on your area, the dealership and your relations with your parts manager. Double check parts #'s. 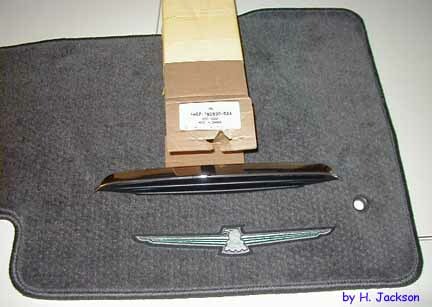 Chrome Hoodscoop Bezel - 1W6Z16C630BAA, - this part may be listed as "satin silver" in the parts book - it IS chrome! 5W6Z-16C630-AAA - same part as above but for the cashmere 05s - it's also chrome and better priced. right side triangle piece should be # XW4Z-19E630-BA and retails for about $19. Front Cover (nose bra) (N.A. )Part# 2W6Z19A413BA. 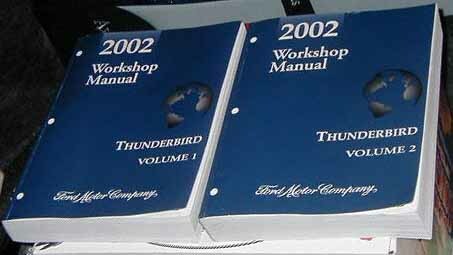 see TBN for installation help for 2002 T-bird: you will need to register with the site to view the thread - it's free - photos are gone, though. . Hood Scoop Bezel, painted: 1W63-16C928-a You'll need to specify color or possibly have to have it painted. Owners Manual - If your manual is lost, download from motorcraft.com > tech resources > owners info offers free downloads for owners' manuals. Helm Inc. may also have the manuals available. Spare Tire spindle top NUT: 1F1Z-1462-AA Nut ~ Wing app $19.79 ~ It is not a wing nut; it is a black plastic cap for the spindle to keep it from poking through the floor panel. plus 2 lamp assemblies (1W6Z-13200-AA). Part Number: 1W6Z76517A20AA emblem Right $27 to $40. Red, black and Whisper White are carry-over for 2003. Valet Key - The 03-05 Lincoln LS has a valet key available.cost approx. $30.00 - will work for the 03 to 05 T-bird. Wheel, Chrome NM: 1W6Z-1007-BA (app $600each) : (N.A.) no longer be available. Below are other Ford Thunderbird accessories with suggested list prices as of Summer 2003 - listed to give you a ball park idea of whhat you may have to spend. ~ remember ~ you may be able to get the parts manager to lower the price for you. 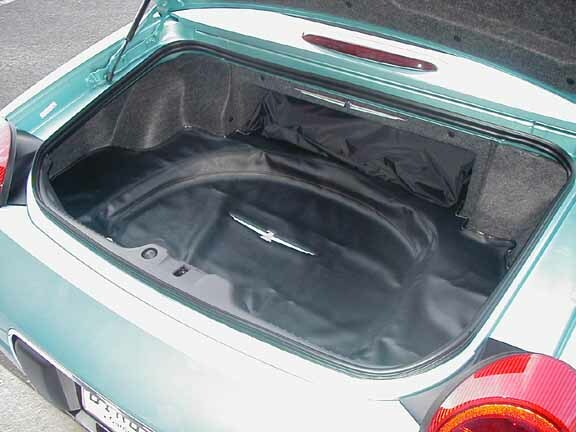 These accessories will also fit your 2004 & 2005 Ford Thunderbird. Many may no longer be available. Following is a listing of various body part #s for the 2002 for future reference. In the Ford service part number you will usually find a prefix, base and suffix. The base part number for "Body" parts will have a 2 digit body indicator. 2W6Z is the prefix and it tells us that the part was introduced in 2002, the major vehicle for which it was released, and that it is a service part. 76 in the base stands for Thunderbird and 13086 will always be front floor mats. AAA is the suffix and is used to differentiate color or other charistics of the application. For the mats here - the parts counterman would need to look up "13086" (that is how it is sequenced in the catalog system) for Thunderbirds. There will be several choices. To be sure you are getting the correct mats, give the counterman the complete number. Thanks to "Red" for supplying the above FYI info. N.A. = No longer Available but join Thunderbird clubs or forums and inquire with other owners if any are parting out their cars. Also inquire with PowerSportCars above if they have any resources for what you need. Some mechanical / electrical parts may also be used on the Lincoln LS of that period.